Finding breakfast cafes and restaurants that cover what I call ‘proper food’ is often hard to come by. Obviously places need to ‘cater for everyone’, however, for the most part- everyone needs to sort their eating habits out and not scoff down on the standard fare at most breakfast cafes. Many cafes have the bacon and egg standard, or the ‘big breaky’. These cover it, but aren’t for everyone, certainly not all the time. However, the key here for many people is to attempt something more substantial for breakfast, including some meat. How did ‘Bread & Circus´fare? However, upon arriving at this quaint cafe early on Sunday morning, it was easy to see the care they have for their food and the effort and thought that goes into sourcing and cooking it. 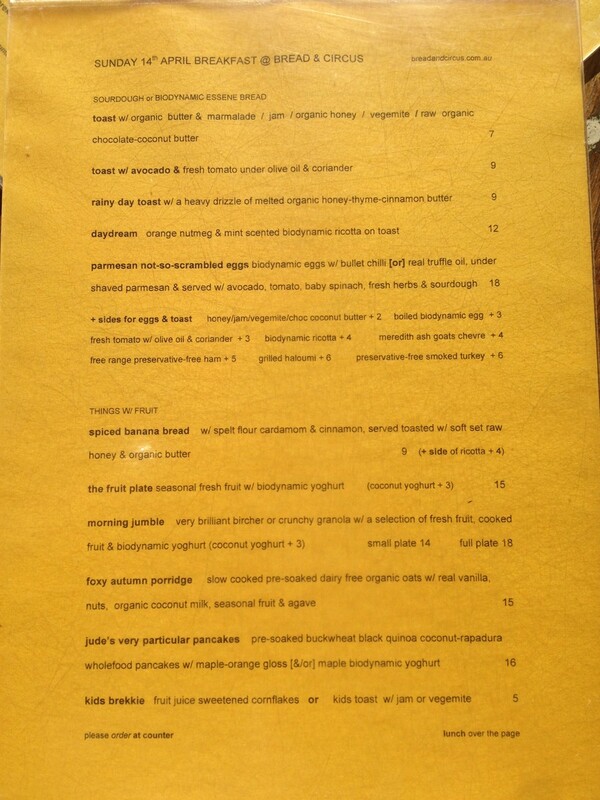 The menu changes daily, depending on what’s available. I like this concept as it ensure fresh, seasonal produce. Admittedly there weren’t too many meals on there coming under my umbrella above; however, everything was fresh and for the most part biodynamic or organic. Depending on where you happen to be in the world, these terms will fall under certain criteria, but mostly they mean natural growing/farming practices, without the use of chemical sprays, fertilizers and preservatives. This was apparent in the their ham and smoked turkey- preservative free. Reading the menu made an easy decision for me, the ‘parmesan not-so-scrambled eggs’- biodynamic eggs with bullet chilli, under shaved parmesan & served with avocado, tomato, baby spinach, fresh herbs & sourdough. I of course ordered a side of ham. Now take note when I say- this was a big meal. They weren’t shy on the extra ham. Heaps of it, and tasty! 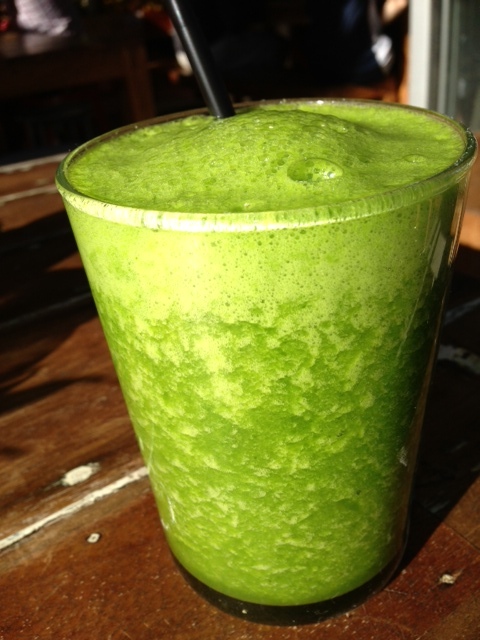 I also ordered their ‘the daily green’ blended drink, with organic kale, spinach, cucumber, lemon, clove & mint. A fantastic way to hydrate and get some greens in. So, did I have a breakfast that meets my criteria? 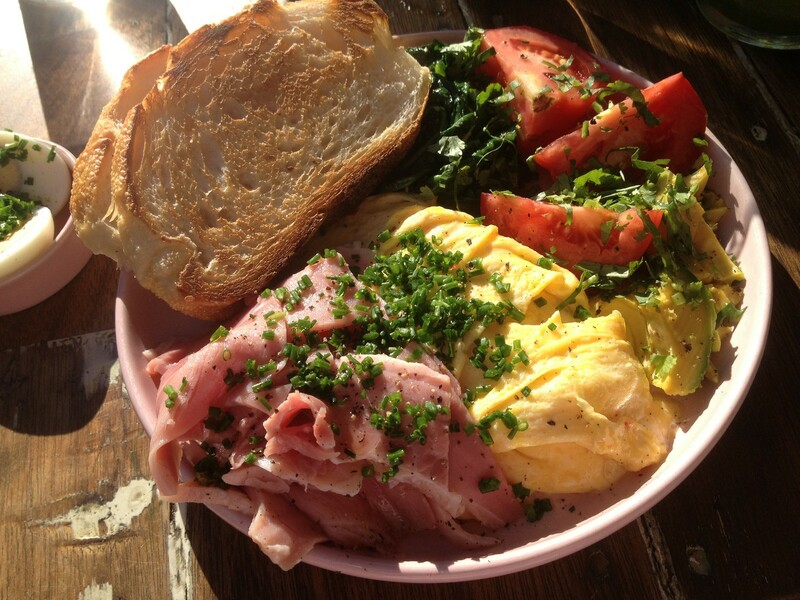 Protein: eggs and ham- tick! Fat: eggs and avocado- tick! Greens: spinach, avocado, kale, cucumber, herbs and more spinach- tick! Stimulating the gut: yeah, I had a serving of a probiotic drink before we left (yes, I’m a massive geek)- tick! For me, Bread & Circus was a winner. 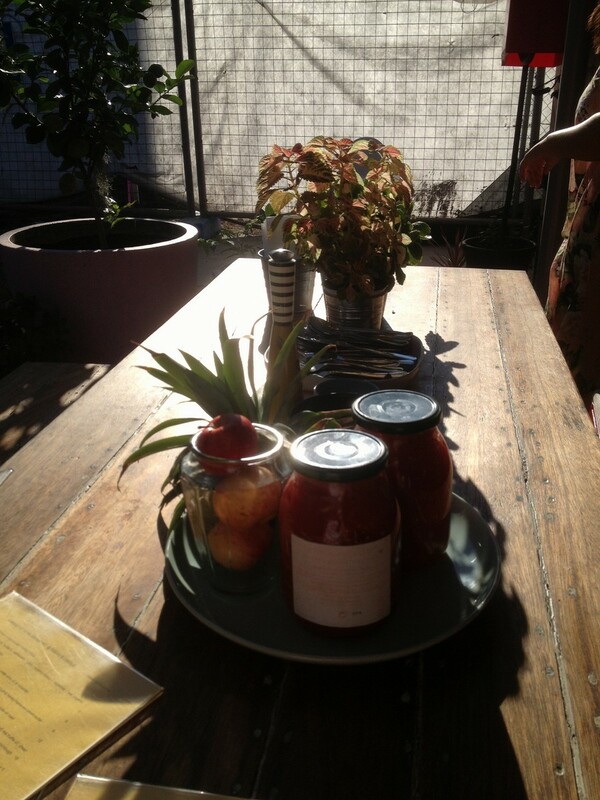 Amazing fresh food, in a warm setting with a load of great extras. NN, what did you think? I loved it. 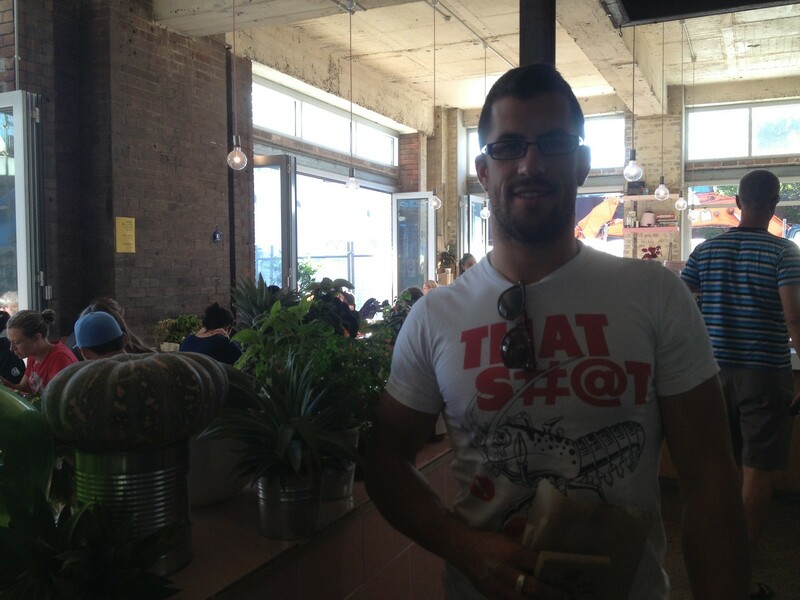 I particularly liked getting outside our bubble and into a funky new area of Sydney. Life is after all, about creating new experiences, especially when it is with someone you love (awww…cue vomit sounds). Like MC, I’m a sucker for any café that has a changing menu depending on the available produce, and so that in itself was a major attraction. 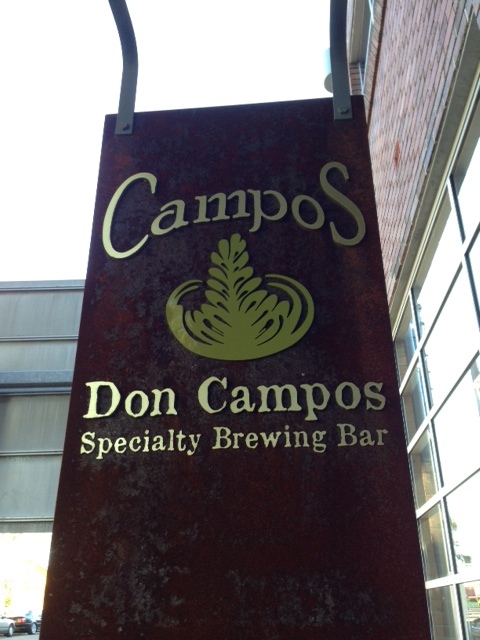 Another major attraction is that Bread & Circus is right next door to Campos Coffee, and if you are a coffee lover, you’d know that this is a good thing. 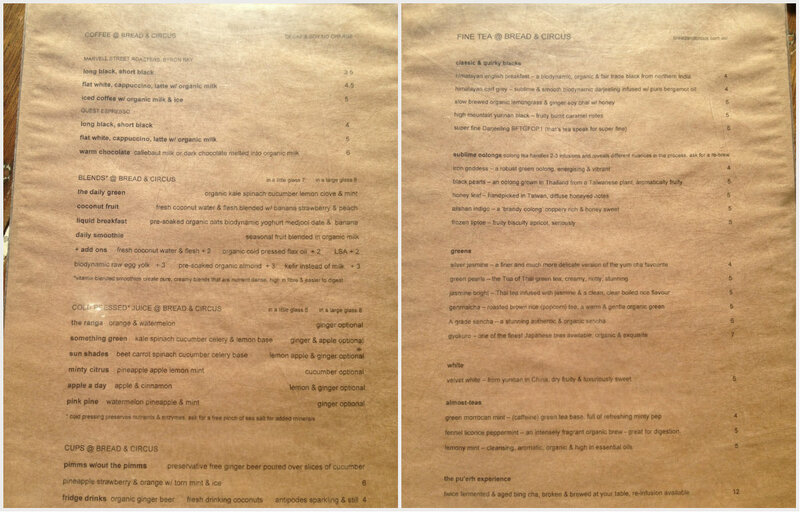 I’m one of those people who likes to look at a menu before I get to the restaurant; I do it all the time. I like to peruse the menu, spend time thinking about what I would like to order, and then on the day or morning of, I get quite excited. This was no exception; I started looking at the sample menu the night before, and was pretty focused on the ‘Jude’s very particular pancakes’- pre-soaked buckwheat black quinoa coconut-rapadura wholefood pancakes with maple-orange gloss & biodynamic yoghurt (provided they were on the menu for the day). I never order ‘sweet’ dishes like this for breakfast; it doesn’t tick the boxes of our above criteria, but on this occasion I thought why not (see, you can relax on your normal routine every now and then). I didn’t completely commit to the Pancake dish as I also ordered a boiled egg on the side. This is where the geek in me kicks in. I ordered the egg AKA ‘egg chaser’, because I knew that the pancakes would contain loads and loads of sugar, and would a) send my blood glucose through the ceiling, causing a massive insulin spike, and b) would not satisfy my hunger. 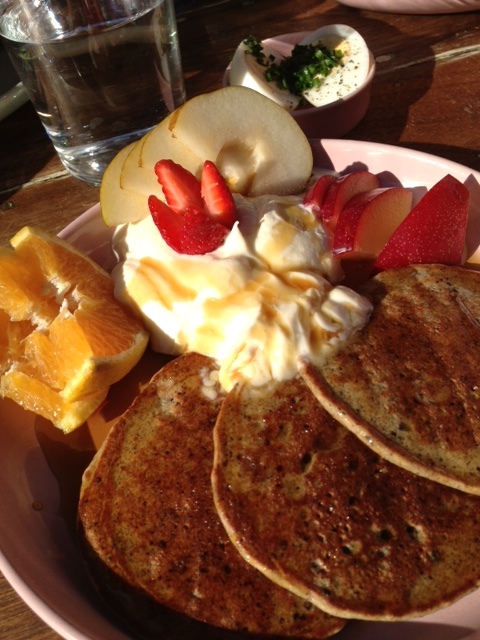 The Pancake dish came with fruit and yoghurt, and was drizzled with an orange maple sauce. Even though they were made from soaked Quinoa and buckwheat (which are all considered ‘healthy’) the whole dish was one big Carb fest. 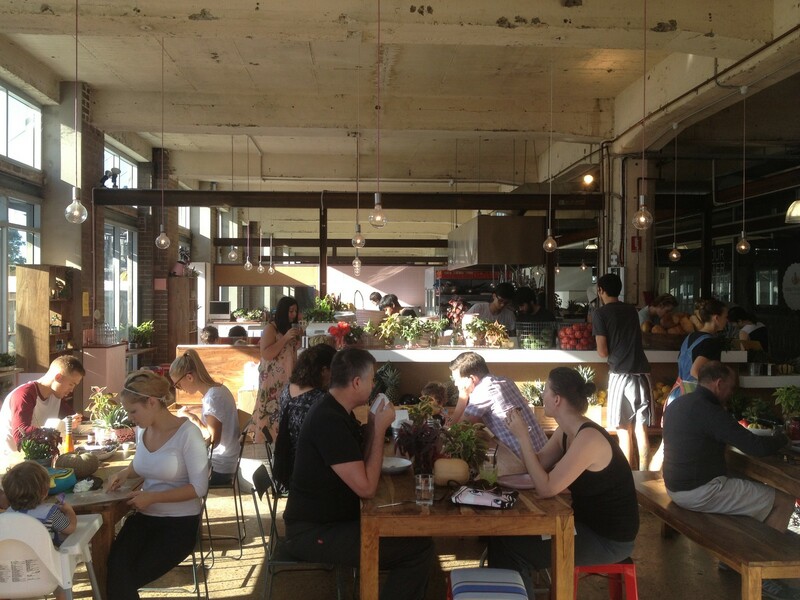 Still, a great breakfast spot, with awesome, nutrient dense food options. For those of you searching out somewhere to get a healthy breakfast, organic and biodynamic produce like this is a massive plus.